Australian Perspecta was a biennial exhibition started by the Art Gallery of New South Wales in 1981 to showcase Australian contemporary art. 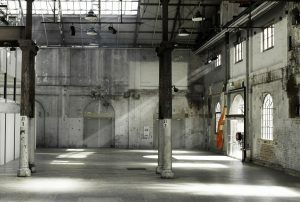 It was held every other year to the Biennale of Sydney, providing an alternate serve, if you like, of contemporary art. 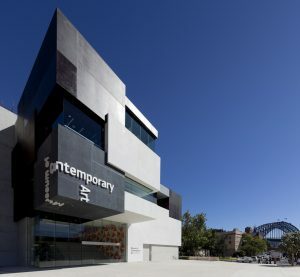 Perspecta was exciting, much anticipated and in 1997, it expanded from the Art Gallery to exhibit in a number of venues across Sydney, including the Museum of Contemporary Art and the Australian Centre for Photography. Each venue displayed its own separately curated exhibition. The final Perspecta opened in 1999 (I think). 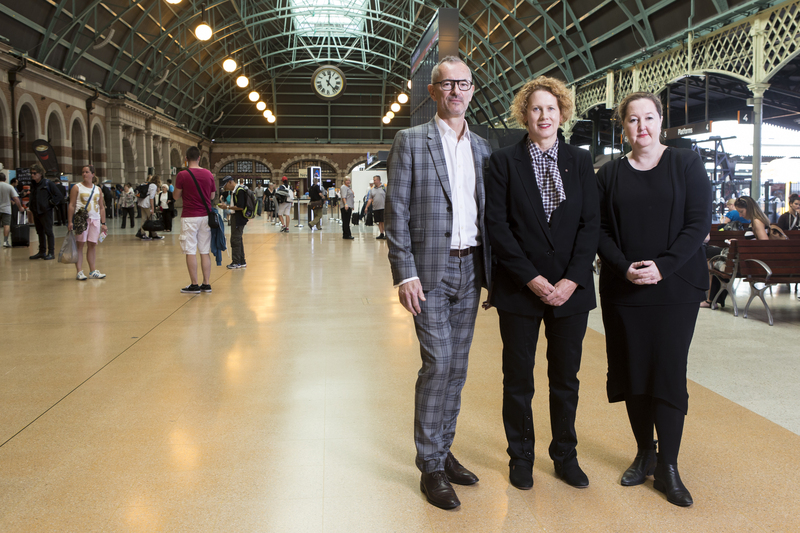 So it was with some excitement and genuine sense of deja vu (for those of us old enough to remember) that Liz-Ann MacGregor, Michael Brand and Lisa Havilah recently launched The National, a remodelled biennial national survey of contemporary Australian art to be presented across the MCA, AGNSW and Carriageworks from early 2017. Press were summoned to Sydney’s Central Station for the announcement. A curious setting but perhaps an apt representation of neutral ground or, that each of our current art world heavyweights were getting on board a partnership in search of audience mayhem this idea rightly deserves. Following the announcement my office was quickly reminded that Mosman, Manly & S.H. 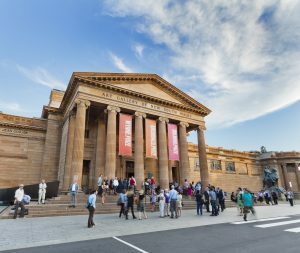 Ervin Gallery’s summer blockbuster Destination Sydney was a remarkably similar idea. Their thematically linked and co-branded exhibition drew record crowds. Maybe the Central Station launch of The National was indeed a nod to regional gallery leadership, who knows?